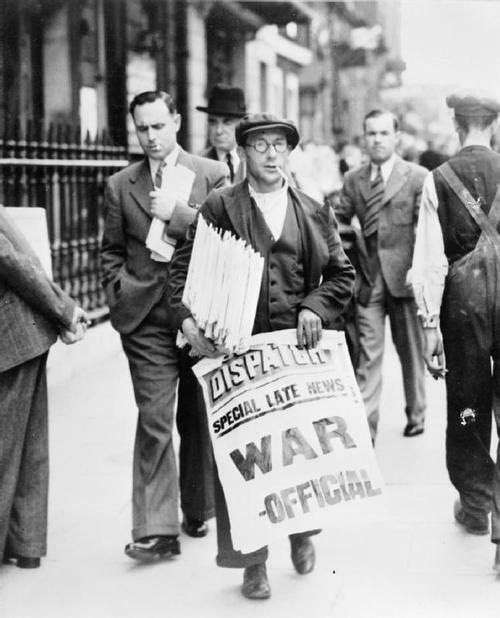 c. 1939 newspaper newsie – yeller -Fair use and Fair Dealing copyright. [User Submitted Via Phone SDH 619-488-2558] My daughter and her boyfriend recently (2013) moved into a condo that lies behind the ravine on the back end of Pioneer Park. There was some oddities in the acquisition of the condo as the renter decided to forgo expected formalities to expedite the process. Shortly after moving in my daughter and boyfriend began receiving mail not just from one previous tenant, but many, indicating to them the condo had a higher tenant turnover than normal. Despite these minor quirks, they were moved in and began to make the place their own. On June 1st, My daughter was reading on her couch when she began to hear an unusual noise such as a small ball bouncing and hitting something metallic. She looked up from her book towards the kitchen floor and was stunned by what she saw. Sitting on the kitchen floor was a male about 35 years old dressed in 1900 newspaper sales-man clothing, and he was playing a game of Jacks. The figure looked up towards my daughter, then stood, and proceeded to walk through the kitchen window facing the ravine below. My daughter was stunned and unsure what to do so she decided not to tell anyone except me about the incident.